We have some wonderful printable coloring pages for kids here! It is an amazing set that will keep your kids practicing fine motor skills all year long! In this bundle, we have 32 sets of printable pages. We have 8 sets for each of the four seasons. 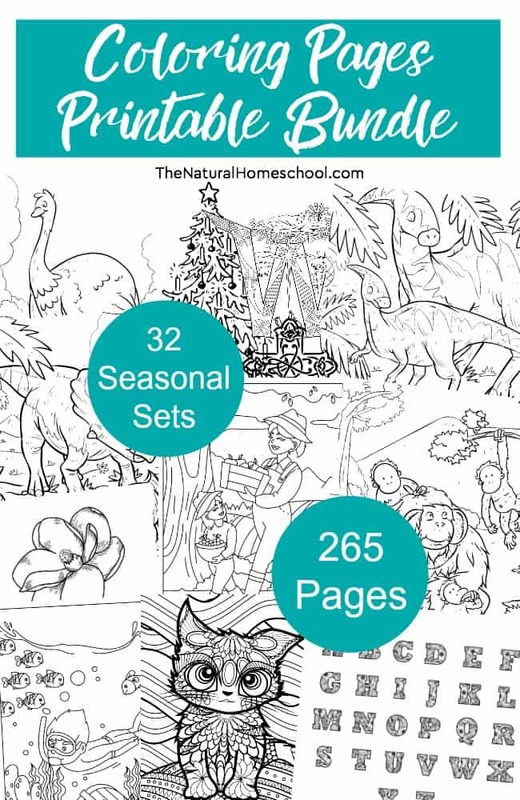 Imagine downloading this bundle of 265 pages to surprise your kids with pictures of dinosaurs, animals in Winter, Spring coloring pages and even ocean pictures! Don’t think that these are just some cute coloring pages, no! They are educational as well! Come take a look at what the Spring set includes. 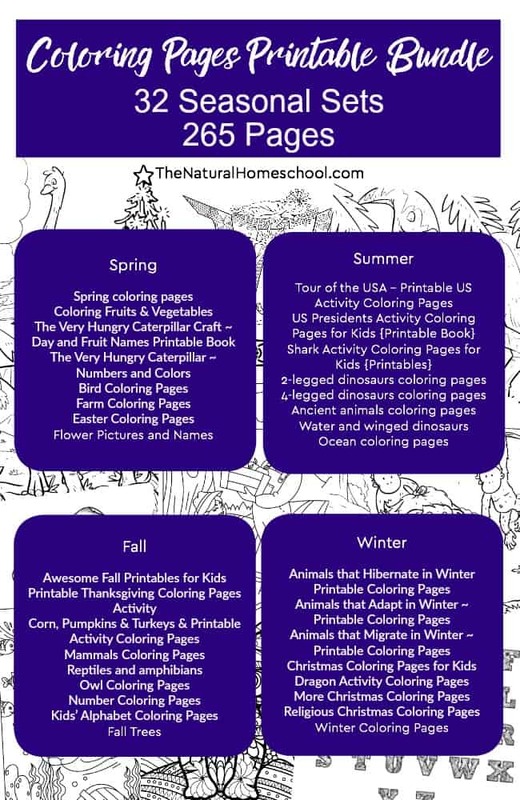 These Kindergarten and Preschool coloring pages are awesome! Keep the kids happy and entertained all Summer long with these amazing sets! And last, but not least, these printable coloring pages for kids focus on Winter. They are a lot of fun and many focus on the magic of that wonderful season. Now, it’s your turn! Get your bundle now! It won’t be this low forever!